Go Bok Su has had a difficult childhood and served time in prison for stealing. Jeon Kyung, a moody tomboy and a daughter of a rich family, plays the keyboard as a member of an unknown indie rock band. The vocalist of Kyung's band is diagnosed with a brain injury from an accident, and while the band members are trying to earn money for the surgery, Bok Su steals Kyung's wallet. Bok Su decides that their meeting was fate, leaves his long-time girlfriend Mi Rae, and follows Kyung around trying to win her heart. One day Bok Su finds out he has a terminal illness and doesn’t have much time left, and his life begins to change. The acting is great between the main leads they have great chemestry even if they don't kiss each other at all . I would like the main actress to be more femenine and would dress better, but many KDramas love to show main actressses as tomboys. I guess this is the first time a Kdrama inspires me that much for me to write a review, from my point of view this drama is a jewel so I decided to express my love for it though it might be an unpopular opinion. It's true I only got interested in Ruler of Your Own World because of Lee Na Young as I've always wanted to see her in at least one drama (her movies are not enough for me I needed more of this actress and a drama would be the perfect length), if it was not for her I think I would have never heard of Ruler of Your Own World and miss the opportunity to watch such a great and passionate drama. She was the one who brought me here indeed but I was pleasantly surprised when I saw Yang Dong Geun was also in this drama as the leading guy, I discovered both main actors in the awesome movies (Our Happy Time with LNY and Fighter in the Wind with YDG) so without any doubt I was even more excited to start this drama, and I was not disappointed, the opposite I'd say. RoYOW really impressed me and I still can't believe I did not stumble upon this drama sooner as I fell under the spell of all the characters and the story, the reason is that it feels so real and genuine and for the first time I watched a drama with almost zero clichés and it's a first for me saying something like that about a Korean drama, I know I did not watch that many but among those I watched no one is as authentic as RoYow which at first really surprised me, I was like ''Am I really watching a Kdrama'' anyway I'm glad I can now say that about a Kdrama as it was about time for me to watch something new and different from South Korea and for me this is a magnificent piece in so many ways. I really loved this drama for all the mentioned things above but there are more than that, the story itself is very uplifting and heartwarming largely thanks to the great supporting cast, all of them bring a lot to the drama. I also need to say it's very depressing because of all the things that are happening/happened to the characters however I was very amazed to see how they cope with their own issues so calmly and bravely. I love how the relationships between the main and the supporting cast are developing in the drama, really wonderful and honest. 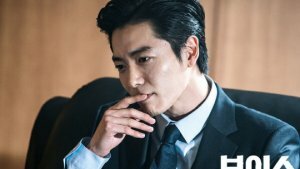 BokSu and Kyung are the center of the story, this is obvious (and when they are together it's definitely like they are the ruler of their own world) but the supporting characters play also a big part in the drama, their bonds with the main characters are strong and deep and the drama also takes time to develop their parts. I decided to Edit my review and put the part about the characters in the spoiler tag, feel free to read, there's no spoiler but I think it was better to remove that part from the review. I'll end this review saying this drama is really worth the watch and that Kdrama fans should give it a try, especially those who like old Kdramas. If I fell in love with this drama it's because its storytelling is simple yet so heartwarming, it's not the addictive type but it has its own qualities which I generally appreciate in dramas : greatly written characters, great story and Ost. The interactions between all of them are always natural and mature, I'm almost sure that teens would probably find this drama too slow and maybe boring but a mature audience could appreciate it for its qualities. Okay the chemistry between characters is great especially between our main couple and for me it was so beautiful seeing them this close but it's not the kind of chemistry a romance drama fan would expect I think but for me it was perfect, I did not want more, it was good this way. 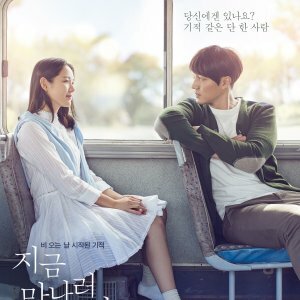 If I have to find some flaws it would be about the last eps which were a bit too long and in my opinion 16 eps would have been enough but I won't complain cause I could see Lee Na Young and Yang Dong Geun a bit more and I have to tell how outstanding they were in their roles, I was feeling all what they were living because their lives are not like a fairy tale, they are all struggling and living with their own problem courageously , and this doesn't apply only to them but also to the other actors who did as great especially Gong Hyo Jin , Shin Goo, Lee Se Chang & Yoon Yeo Jong. My other complaint is about the last ep which was for me a bit ridiculous at some moments, certain events happening in this episode were exaggerated and upset me a little bit, one of the reason I can't give a 10.